PESHAWAR: The Regional Board Meeting (RBM) of Khyber Pakhtunkhwa (KP) National Accountability Bureau (NAB) on Friday authorised inquiry against Swat University and officers and officials of Nowshera Medical College. 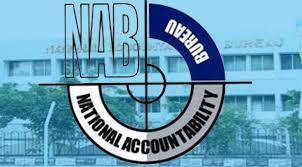 The RBM meeting was held under the chairmanship of KP NAB Director General (DG) Brig (r) Farooq Naser Awan. In Regional Board Meeting (RBM), several inquiries were authorized which included inquiries initiated against University of Swat, alleging for ignoring the findings and recommendations of the Special Evaluation Committee for identification of suitable land for establishment of the university. Due to the blunder, the project had so far suffered Rs 2.5 billion loss. It was also revealed that the subjects issued a letter to DOR, Swat for acquisition of land ignoring the recommendations of the Special Evaluation Committee and the minutes of meeting with DCO, Swat. No approval had been taken from the syndicate of the university in this regard. It was further revealed that funds of the federal government for construction of the university, and amounting to Rs 127.485 million had also been lapsed. Second inquiry was authorised against officers and officials of Nowshera Medical College and others regarding corruption and corrupt practice. The subjects are allegedly involved in illegal appointments of employees and the scrutiny of record had shown that the degrees and experience certificates submitted by the appointed candidates were fake. They also embezzled Rs 400 million in procurement of medical equipment. At the end, Brigadier (r) Farooq Naser Awan appealed to the general public to join hands with the bureau for eradication of corruption from the province. The meeting was attended by directors, additional directors, case officers, senior legal consultants and other officers concerned.